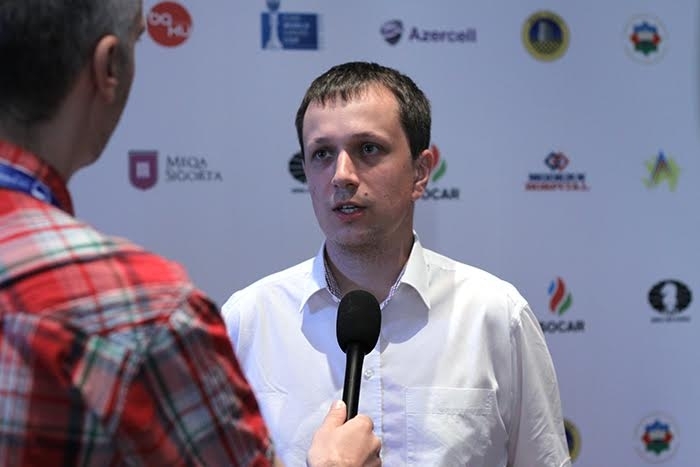 Radoslaw Wojtaszek emerged winner of the 2018 edition of chess.com Isle of Man International Tournament, by defeating Arkady Naiditsch in a playoff match for the first place. While Wojtaszek was playing for gold, his wife, Alina Kashlinskaya, beat American Grandmaster Sevian Samuel to reach 6 points and 7.000 £ prize, reserved for the best Women player. Wojtaszek and Naitisch played a draw in the last round of the tournament and tied for the first place, and by propositions of the tournament, the winner was to be decided in playoffs. After 2 blitz games, the leaders were still in a tie with result 1-1, which lead to Armageddon where Wojtaszek has chosen white pieces and managed to win to be declared as Champion. By the end, Radoslaw and Arkady brought home 37.500£ each, with Wojtaszek receiving extra 500£ for winning the playoff match. Seven players tied for the third place, each with 6.5 points, but thanks to the best tiebreaks Kramnik Vladimir ended third, Grischuk Alexander finished fourth, Nakamura Hikaru was 5th, Wang Hao took 6th, Jones Gawain came 7th, Adhiban B. went 8th and Xiong Jeffery ended on the 9th place. The best ranked woman – Alina Kashlinskaya celebrated quadruple: birthday, GM norm and two golds, one of herself and one of her husband. The prize for the second women player went to Alexandra Kosteniuk with 5.5 points and the prize for the 3rd place went to Pia Cramling with 5 points. As usual, one of the strongest Open tournaments of the world gathered 165 players from 37 countries, many famous chess names, and in total 75 Grandmasters, among whom were 20 GMs rated over 2700. The event took place from 20th-28th October in the Villa Marina and Gaiety Theater in Douglas, Isle of Man.